Anthony Boyd is the odd rider out in the first-year intake of Victorian apprentices. Boyd, 28, married and a ­father of three, has had to overcome a lack of self-belief, weight problems, a battle with depression and doors being shut in his face to pursue his childhood dream. He has also had two previous careers as a jockey — one as a picnic rider and another as an apprentice in NSW. Boyd started his third incarnation almost three months ago and since then he’s ridden 14 winners including success in the Tatura Cup. He’s ridden three winners this week at Ballarat and Hamilton and has 14 rides over the three-day Swan Hill carnival, which kicks off on Friday. Boyd, who decided he wanted to be a jockey when he was eight, is the nephew of successful country jockey John Hunter and his stepfather, Neil Boyd, was a pre-trainer and breaker at Ballarat. Boyd began track riding at Ballarat aged 12 and wanted to become a jockey but was told by several trainers that he was too big. He left Ballarat and joined trainer Ricky Maund at Phillip Island when he was 18 and took out a licence as a picnic meeting jockey, riding on the circuit for five years and notching 30 winners before giving it away. 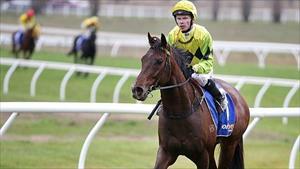 Boyd was also riding trackwork for trainer Danny O’Brien but, when his weight ballooned to 78kg, he had to stop. “I was in a bad spot. After seeing how big I was I went on a health kick and my weight dropped to 58 kilos,” Boyd said. Supporting his family as a trackwork jockey was difficult so, with the support of O’Brien, Boyd decided to become an ­apprentice. He missed the 2014 application window but was able to start his apprenticeship in southern NSW and he joined the Wagga stables of Wayne Carroll. But he was on the road all the time, and Carroll eventually terminated his apprenticeship. Boyd moved back to Melbourne and rejoined O’Brien’s operation, and after a six-month wait, he joined the Racing Victoria apprentice intake. “I can’t thank Danny enough for his support. Also James Winks has been a great mentor to me,” Boyd said. “My riding’s still a bit untidy but I’m improving.